The cause of osteosarcoma in dogs isn’t well understood. Certain dog breeds are more prone to developing it. Scottish Deerhounds are genetically predisposed to osteosarcoma, and it occurs frequently in other large-breed dogs, especially Rottweilers. Large or giant/tall dogs are also at greater risk, as are middle-aged to older dogs. Does My Dog Have Osteosarcoma? Osteosarcoma can occur in any bone in a pet’s body, but in dogs, most tumors appear in the front limbs near the shoulder, wrist, and knee. Osteosarcoma is extremely aggressive, and it spreads quickly to other parts of the body, making early detection and treatment vital. First, your vet will take an X-ray and perform a physical and orthopedic examination to rule out other causes of lameness. To obtain a definitive diagnosis and determine the best treatment plan for your dog, any problem areas identified on the X-ray will be biopsied. Advanced CT imaging is often recommended for osteosarcoma tumors of the limbs because it provides better information for a veterinary surgeon to determine if surgery is possible and the extent of surgery necessary to achieve a favorable outcome. Because osteosarcomas tumors are so aggressive, amputating the affected limb followed by chemotherapy to treat metastasis is the most common treatment. While amputation isn’t the right option for all pets, otherwise healthy dogs can function quite well with three legs. Limb-sparing surgery—in which the tumor is removed and the bone is replaced with another bone (either from your pet or from a bone bank)—may be an option depending on the tumor’s location and whether it is relatively small at the time of diagnosis. The complication rate for this type of surgery, particularly infection, is relatively high, however. When surgery isn’t an option due to tumor location, stereotactic radiation (SRS/SRT) can be beneficial. It can also be an alternative to amputation for dogs in which the osteosarcoma hasn’t destroyed a great deal of bone. This advanced, highly accurate type of radiation therapy focuses high doses of radiation to damage and kill osteosarcoma cells. Follow-up chemotherapy is still necessary. Palliative treatment, which aims to make your pet more comfortable but doesn’t provide a cure, can include conventional radiation therapy and drugs to reduce pain. The prognosis for pets with osteosarcoma depends on the severity and spread of the disease and on the treatment you choose. Here are a few our inspiring Pet Heroes that have fought bone cancer. We invite you to read their stories. If your pet was diagnosed with osteosarcoma, contact the nearest PetCure Oncology location near you. You can also ontact our Pet Advocates at (833) PET-HERO. Our team members are ready to help answer your questions. 1 “Bone tumors in cats and dogs,” acvs.org, https://www.acvs.org/small-animal/bone-tumors. 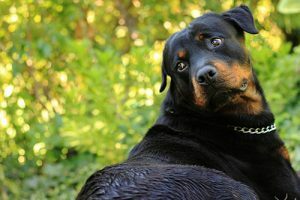 2 “Osteosarcoma in dogs and cats,” petcarerx.com, https://www.petcarerx.com/article/osteosarcoma-in-dogs-and-cats/2842. 3 “Osteosarcoma: when amputation is not an option, part 2,” dogcancerblog.com, https://www.dogcancerblog.com/blog/osteosarcoma-when-amputation-is-not-an-option-2/. “Bone tumors in cats and dogs,” acvs.org, https://www.acvs.org/small-animal/bone-tumors. 4 “Fact sheets: stereotactic radiosurgery,” vetmed.ucdavis.edu, http://www.vetmed.ucdavis.edu/vmth/small_animal/oncology/fact_sheets.cfm.